Come inside the Total Truck garage as we take you through the installation of some of today’s hottest truck accessories. In this episode, we install the Solid Fold 2.0 from Extang on a 2015 Ram 1500. <p>Come inside the Total Truck garage as we take you through the installation of some of today&#8217;s hottest truck accessories. 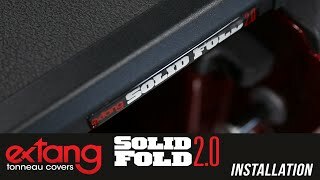 In this episode, we install the Solid Fold 2.0 from Extang on a 2015 Ram 1500. The RF3 3” LED Cube light from PIAA has redefined the small LED light market. 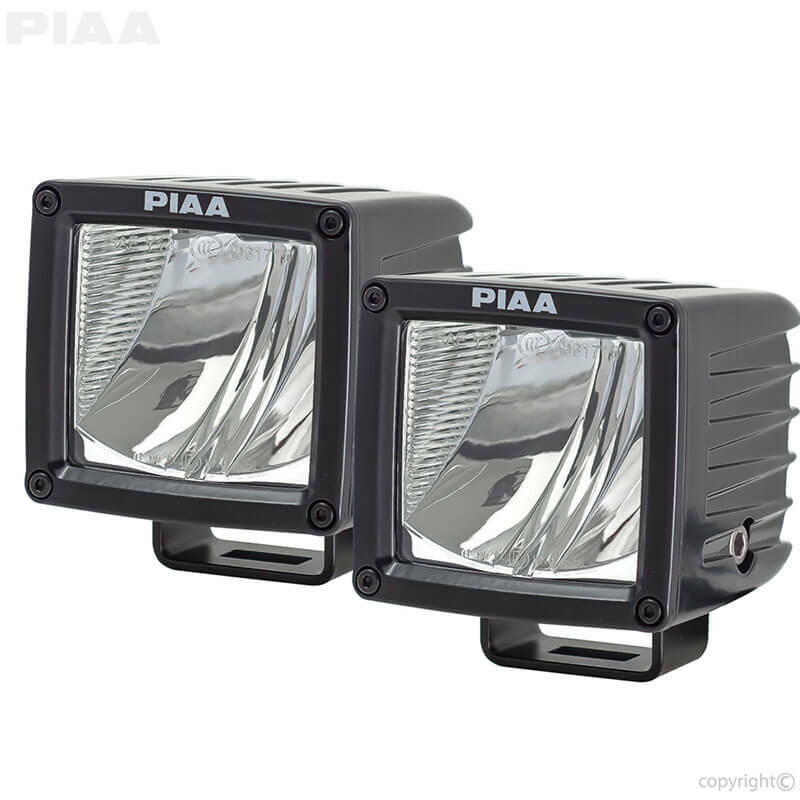 Unlimited mounting possibilities and a tremendous amount of light output make the RF3 one of PIAA’s most popular lights. Offering both a Driving pattern (07603) that casts light far ahead of standard high beams and a Flood pattern (07340) for a broad range of coverage, the RF3 Series of LED lights emits bright 6K white light that replicates daylight conditions in the beam pattern of your choice. Lower power consumption (8W) than traditional forward-facing LED cube lights. Compact and durable, with cast aluminum housing and polycarbonate lenses. Driving lights are SAE compliant for on-road use. 10G vibration resistance to withstand the most rugged terrain. Boasting the increasingly popular wide oval style, the Fusion Series of cab-length side bars from Big Country features the company’s proven channel-style mounting system* and replaceable, series-specific end caps for a smooth, welded look. 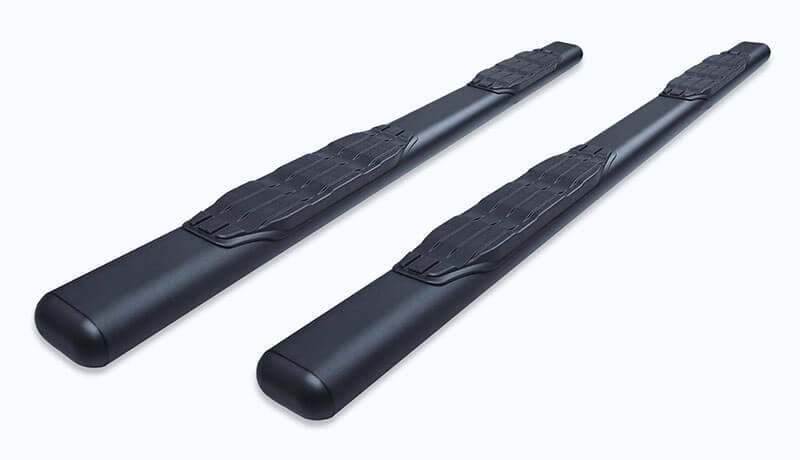 The 105870 5” side steps are constructed from galvanized steel, protected with a stylish textured black finish, and backed by a 5-year warranty. Installs easily with no drilling via U-channel bracket mounting system*. <p>Boasting the increasingly popular wide oval style, the Fusion Series of cab-length side bars from Big Country features the company’s proven channel-style mounting system* and replaceable, series-specific end caps for a smooth, welded look. The 706001 Interceptor from Hypertech is smart technology that works with today’s generation of complex engine computers, such as the all-new 2016 Toyota Tundra 5.7L V8 gas truck. The Interceptor easily mounts under the hood and plugs into the factory harness to constantly monitor the vehicle’s functions. The Interceptor then automatically recalculates the factory’s computer performance calibrations with legendary Hypertech Power Tuning. This means more horsepower and torque, quicker acceleration, better drivability, and improved MPG. Plus, Hypertech keeps your investment current with software updates. Easily mounts under the hood. Power Tuning technology optimizes calibrations. Enjoy more horsepower and torque. Quicker acceleration, enhanced drivability, and MPG gains. Updatable with new releases and features. The 13107.42 All-Terrain Center Console Cover from Rugged Ridge is designed to prevent the accelerated wear and tear common to Wrangler JK interiors. Unlike cloth and leather consoles, these heavy-duty covers will keep your center console in showroom condition for years to come. Molded from durable polyurethane foam, these covers create a barrier that protects your vulnerable console from scratches, rips, stains, and even damage from pet claws, while also enhancing interior styling with a proprietary tread design. These covers install securely within seconds with supplied automotive-grade adhesive tape. Prevents wear and tear common to JK interiors. Made from hardy polyurethane foam. 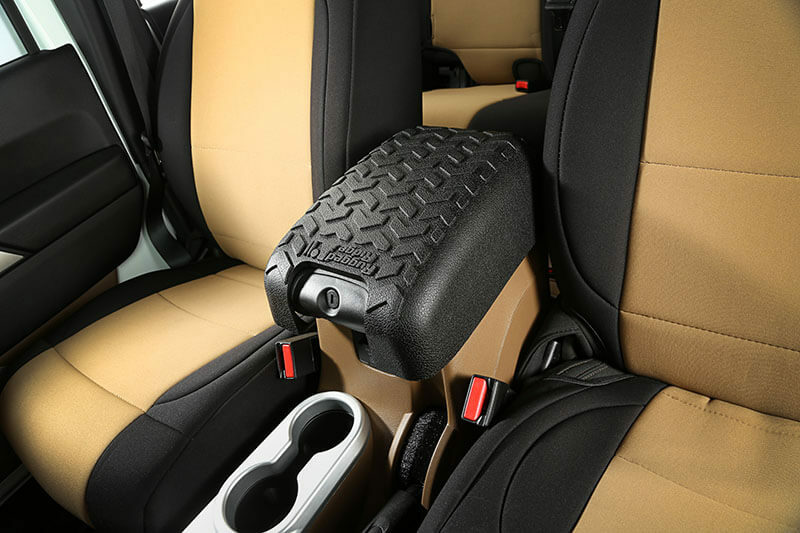 Upgrades interior appearance with a tread design unique to Rugged Ridge. Goes on quickly via supplied automotive-grade tape. Installation time: less than 1 hour. Safety and style collide in this 7” Halo Headlight Conversion Kit from Race Sport. With projector-style LEDs, you get light cast farther down the road for safer low-light driving. Plus, Race Sport’s halo accent light can be used as a turn signal. This kit replaces 7” OEM H6024 or H6017 sealed-beam lenses via a plug-and-play H4 connector and halo wire harness. The lenses are made from durable polycarbonate and the housing from solid die-cast aluminum, with a light color in the 6K Kelvin range. Connector: H4 and H4 to H13 converter. 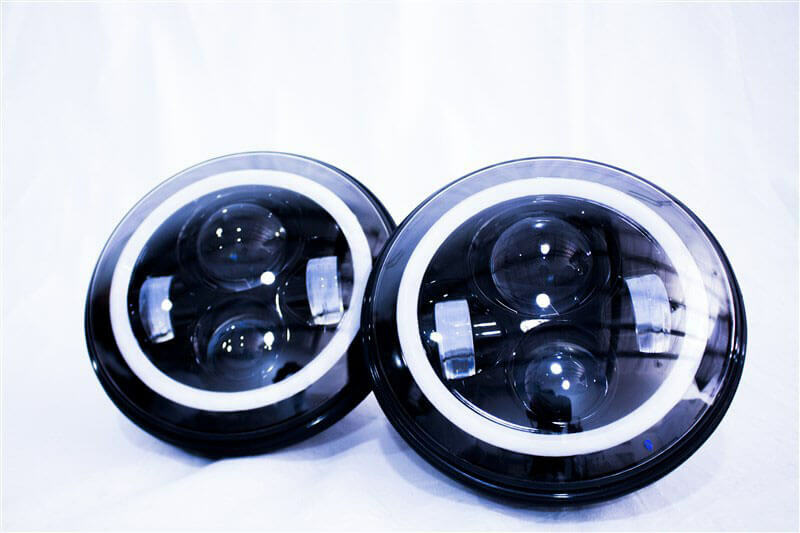 Replaces PAR56 headlights and 7” H6024 or H6017 OEM sealed-beam lenses. To find your nearest Total Truck Centers location, see our Store Locator. Or join the conversation at the Total Truck Centers Facebook page! Hypertech’s Speedometer Calibrator for 2015-2016 Jeep Wrangler JKs corrects the speedometer and odometer for tires up to 54” and/or nonstock rear gear ratios. This product is a great value for drivers who desire only recalibration functions without more advanced tuning features. Simply plug the device into your Jeep’s under-dash connector and select the new tire height and/or rear gear ratio. In a matter of minutes, your JK’s computer will be reprogrammed for accurate readings (as required by law). Comes with USB computer cable and CD software to update easily over the Internet. Calibrate your speedometer or odometer for non-OE tires or altered gear ratios. Read and clear diagnostic trouble codes (DTCs). “Return to stock” via saved stock tuning program. 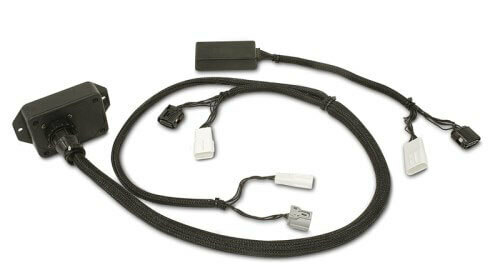 Updates easily over the Internet via included USB cable and CD software. 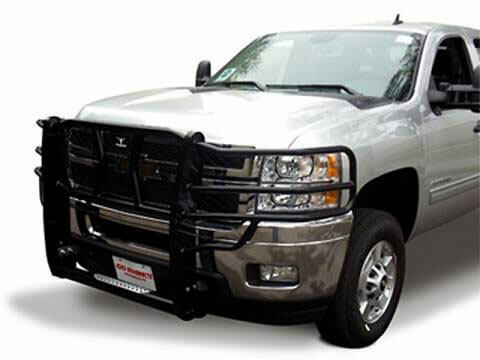 Built for going rogue, the Wrangler Grille Guard for 2016 Chevy Silverado from Go Rhino features sturdy, one-piece steel tubing rugged enough to tame the trail—and keep your front end safe in the process. The patented aluminum step area gives you ample access to your engine compartment, while 1” brush guards protect your headlight lenses from the worst of the way. The Wrangler Grille Guard mounts easily using preexisting frame holes, so no drilling is required. Go Rhino covers this item with one of two warranties: lifetime on stainless and five years on black powdercoat. Frame mounts to existing holes; no drilling required. Center screen to protect grille. Patented integrated step for easier engine bay access. Available in two finishes: stainless steel or black powdercoat. Outfitting your GM truck to tow a heavy-duty flatbed or livestock trailer is easy with CURT’s OEM-compatible Gooseneck Ball and Safety Chain Anchor Kit, which fits GM-specific gooseneck ball #16629. This ball was engineered for the GM puck system and provides a 2-5/16″ diameter to fit most standard gooseneck trailers. The simple 1/4-turn latch lock system offers ease of use and a secure mount, supporting a gross trailer weight of 30,000 lb. and a vertical load limit of 7,500 lb. The included gooseneck safety chain anchors, made from powder-coated, heavy-duty forged steel, provide a reliable connection for your gooseneck trailer. Offering large safety chain loops to accept heavy-duty clevis hooks, the anchors go in easy without tools thanks to a simple drop-in installation system. 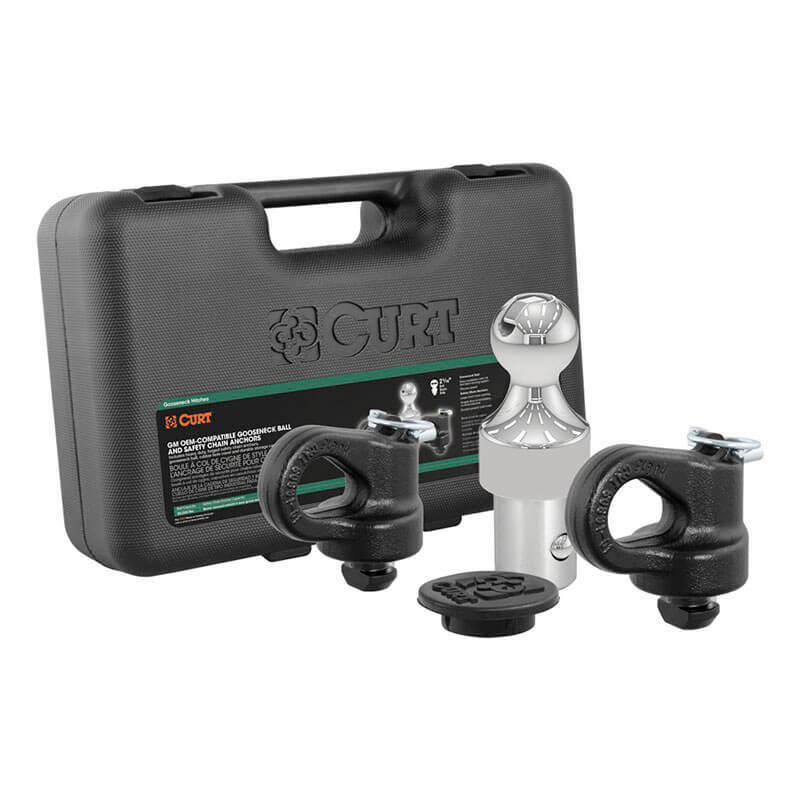 The 60692 GM kit includes a tough rubber hole cover to keep water, dirt, grime, and rust out of your gooseneck ball hole and a durable plastic storage case. 30,000 lb. GTW / 7,500 lb. vertical load limit. Fits Chevy/GMC pickups with factory tow package only. Chrome-plated 2-5/16” ball fits all standard gooseneck trailers. Installs easily with one-quarter turn latch-locking system. Heavy-duty forged anchors with large chain hook openings. Drop-in anchors mean no special installation tools. Corrosion-resistant rubber cover for trailer ball hole. Heavy-duty plastic storage case included. ReadyLIFT has developed a new SST Lift Kit for JK Wranglers that maximizes Jeep owners’ on- and off-road experience without breaking the bank! The 69-6408 4″ SST Lift Kit features ReadyLIFT’s proprietary heavy-duty DOM tube steel control arms with Terrain Control Technology flex joints. This 8-Arm SST Lift Kit is a great option for the Jeep owner who wants more than just a lift kit, but doesn’t require an over-the-top-expensive 8-arm suspension system. It provides a lifted JK that rides great and performs well—even in the roughest terrain. 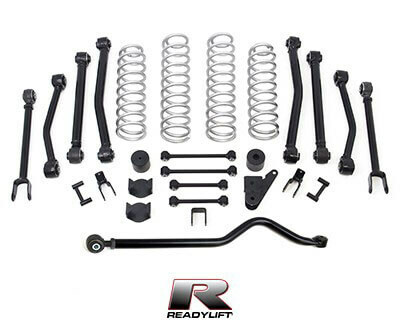 This kit includes important bolt-on accessories such as a specially designed plate-steel rear track bar bracket to correct roll center and track bar placement, a new heavy-duty front track bar, and extended-length sway bar end links to keep your JK handling properly. Bolt-on installation; no mods required. New Terrain Control Technology flex joints and front track bar. Heavy-duty TCT housing and DOM tube steel control arms. 4” front lift / 3” rear lift performance coil springs. Fits both two- and four-door Jeep Wrangler JKs. 3/16” plate-steel rear track bar bracket to correct roll center and track bar placement. Requires longer shocks (not included); available with ReadyLIFT SST3000 shocks. 2012+ JKs may require front driveshaft and exhaust modifications for off-road use. 4” lift: max 37” tires with flat fenders or 35” with stock fenders. Installs in about 6 hours.